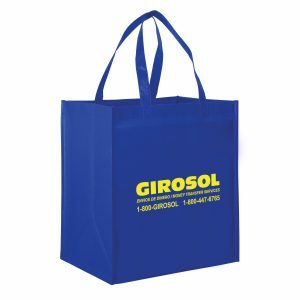 Non Woven Mini Stripe Tote feature Non woven 75 gram polypropylene, Two matching colored self material handles, and Colored bottom ‘stripe’ design. 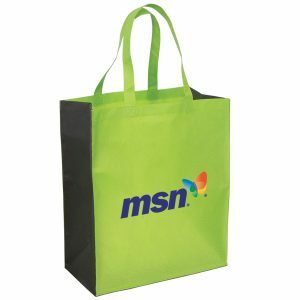 These reusable green bags are just what your company is looking for to promote your brand and business logo. 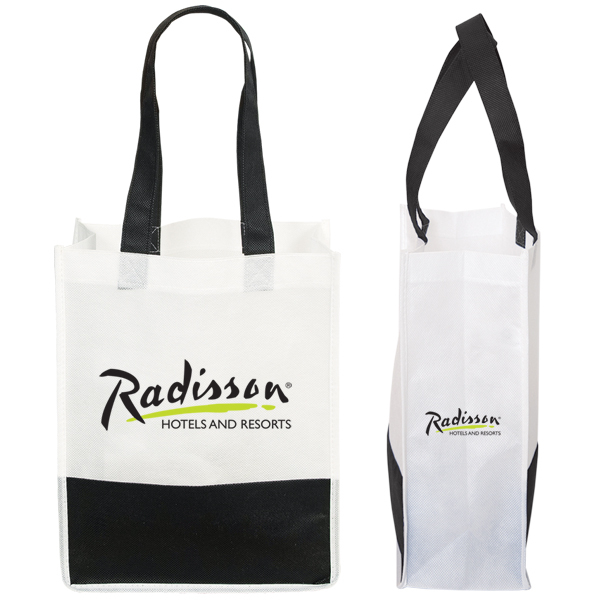 We offer great reusable bags for any type of event or promotional campaign. 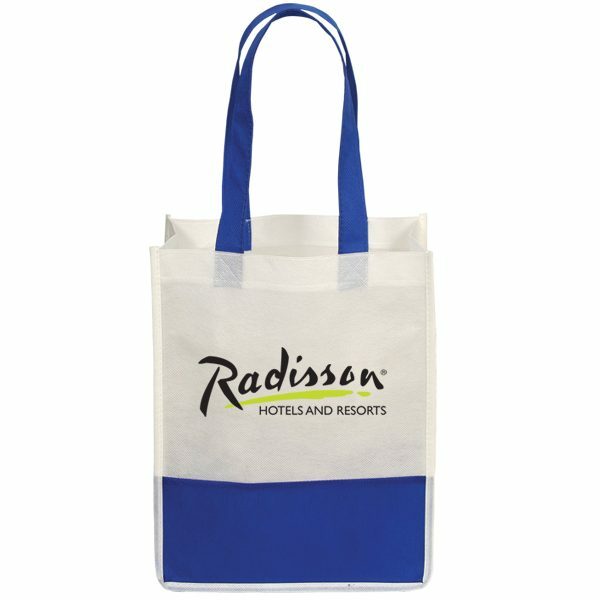 Non Woven Mini Stripe Tote feature Non woven 75 gram polypropylene, Two matching colored self material handles, and Colored bottom ‘stripe’ design. 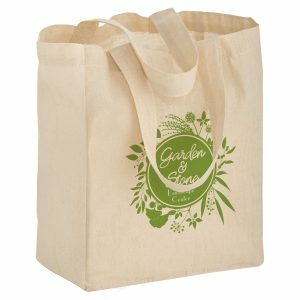 These reusable green bags are just what your company is looking for to promote your brand and business logo. See other great options here. 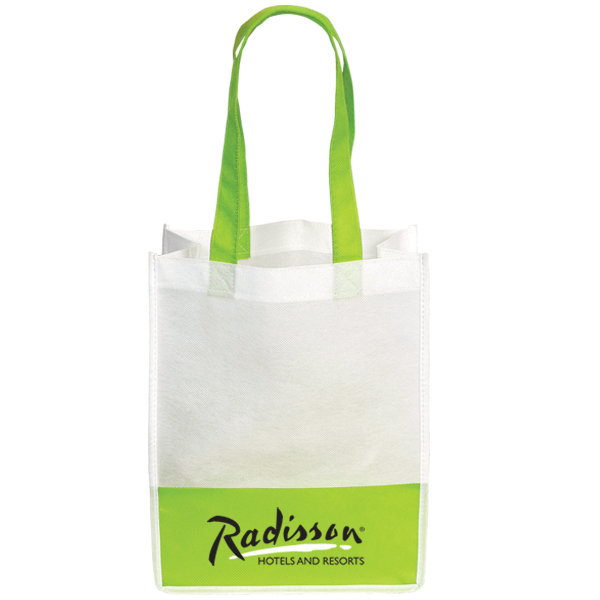 Reusable green tote bags can be Ideal for large grocery items and trips to the supermarket. They are a wonderful item to hand out at trade shows and to potential clients who will use them again and again. 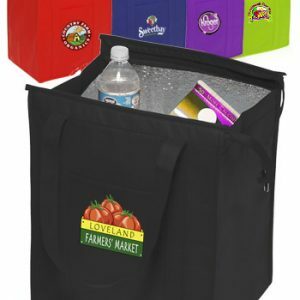 This item is an extremely popular and economically priced tote that comes in a wide variety of colors. 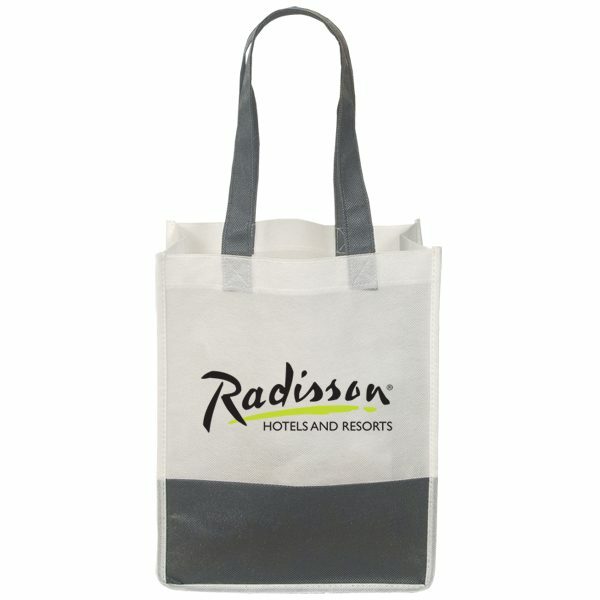 Use at company events, tradeshows and for corporate gifts. Choose from our wide list of products at customgreenpromos.com. 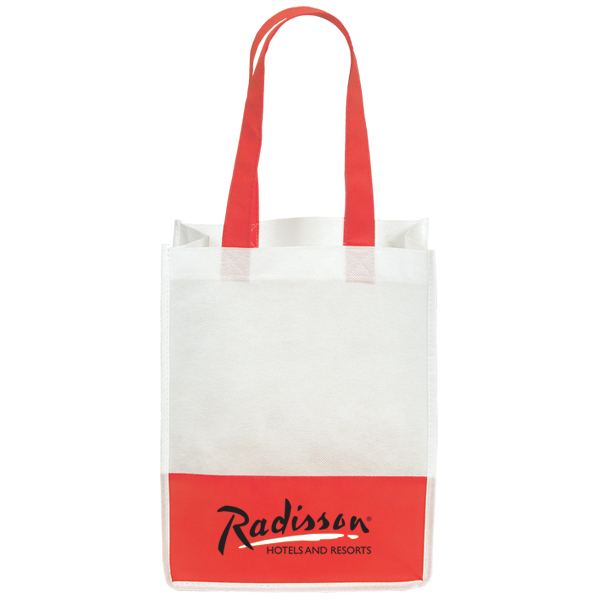 Each one of our tote bags can be customized and designed through our design center to meet your exact specifications. Email our customer service department today to get pricing or call us toll free at 888-565-2235. You can also request a free quote for any of our stock items.